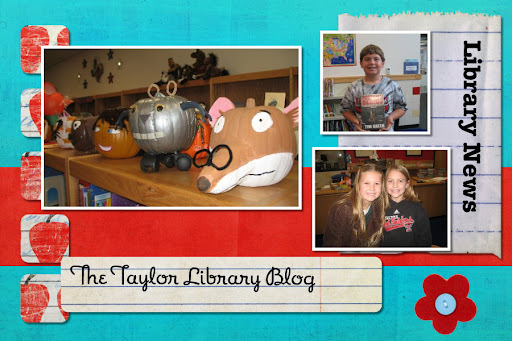 Taylor Library Blog: The Pumpkins are Here!! Every year at Taylor the third grade students make pumpkins based on book characters. I am fortunate to be able to display them in the library. There are some amazing pumpkins and I am so impressed by the creativity the students show!